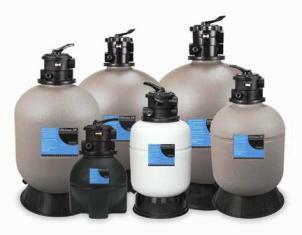 A great pond filter is critical to maintain the health and vitality of any fish pond. Koi ponds in particular need highly efficient and effective filtration and we believe the Ultima II filters provide that, and at a reasonably affordable price too! Listed below you'll find a variety of filter sizes that will work in very small ponds of 500 to 1,000 gallons all they way up to 30,000 gallons. Simply choose the one that exceeds your pond's gallon size and be sure to take fish loads into consideration too. A biological filter is the most effective and safe way to keep excess nutrients in check that come from fish waste. Ammonia and nitrites, two things that are very toxic to fish are eliminated from the water with the help of the beneficial bacteria that's housed in these filters. Plus water quality is maintained and problems like algae and dirty looking water are minimized too. We prefer to use pressurized filters like the Ultima II because they are also easy to clean. With a simple turning of a dial, you can be backwashing this filter in seconds and be done with this often dirty task quickly and easily, without ever getting your hands messy. All in all, we haven't found a better filter at a better a price, so read on to learn more about the Ultima filters from Aqua Ultraviolet. The Ultimate Filter - Superior to Bead Filters! Ultima Filters are superior to bead filters because of their patented bio-tube media which does not clump together like beads do. No need for a blower for back washing! Super easy to backwash - never get your hands wet again! ** Patented Bio-Tube filter media has extremely high surface area (one cu. ft. of media has 750 sq. ft. of surface area) for maximum filtration. This lightweight, non-clogging media is seeded with natural bacteria for quick filter start up after installation. Independent Laboratory Testing Confirms Ultima Filters are the Best! Gillespie Biomonitoring Labs, an independent, certified testing laboratory, tested the Ultima II filter and the other three leading bead filters. The Ultima II filter proved to be superior in all area's including setup, nitrification, back washing and overall efficiency. These top-of-the-line filters are the best choice for fish holding systems, aquaculture and koi ponds. Choose the specifications below that match or exceed your ponds requirements. *This filter must be used with a direct drive external pond pump. Mag drive pumps will not produce enough flow for it to work well. More details and current pricing are available from Amazon.com by clicking the link below. † Maximum pond size is for water garden applications which typically have a light fish load. Use maximum pounds of fish column for aquaculture and fish holding systems where density of fish is much larger.